I’m cheating a little this week after inspiration struck me about what I’m going to do here in November when I’m simultaneously trying to finish a manuscript for December 1 and complete NaNoWriMo’s fifty thousand word challenge. I was starting to panic because I’m heading into a stretch of (fantastic but time-consuming) vacations, and by the time those trips wrap up, it will practically be one of my favorite times of year. That’s right! I actually like trying to cram the whole novel-writing experience into thirty days (well, actually, I like to cram the whole novel-writing experience into twenty-five days or less because I need to take a minimum of one day off a week plus Thanksgiving). It’s been five years since I tried to do both that and finish a paid project though, and now that I have such a wonderful community of readers here, I don’t want to abandon you all for a month because of other commitments. Not today though! Today, I’m enjoying the fact that the author of Divergent and Insurgent decided to share some of her “research” with fans for practically nothing. It’s almost as though she understands that some of us can’t get enough of the characters we love, and that during the agonizing waiting period between books, it’s downright wonderful to throw a little sideline project like this our way. I understand why all authors don’t do this – some are too serious, others too famous (read: busy), others are probably just smug jerks who couldn’t care less about the people reading their books – however, it takes all kinds to write great literature, so I don’t take it personally if it isn’t a writer’s “thing” to do something like this. That being said, it’s wonderful when authors are in touch with what their audiences want and genuinely enjoy sharing something extra with them. Neil Gaiman has done it, usually under the guise of some fantastic project like the UK’s World Book Day or a little poem written for a friend that turns into something bigger when the right people start asking questions. Sherman Alexie often posts short stories on his website or connects to free versions in magazines. Even authors like JK Rowling and Stephanie Meyer have seen the benefits (financially and in terms of good will) generated by publishing add-on stories, both in print and online. Of course, publishing is a business, and the writers who do this sort of thing expect that it will reflect well on them and generate better sales, but I’m fine with that. I’m happy to give my money to people who respect and engage with their audience. Even when I’m standing in line to get a book signed after a reading or interview and realize I have nothing whatsoever to say when it’s my turn, I still enjoy the experience of connection that comes with hearing those authors speak about their process. It’s not about knowing them personally though – it’s about being a part of something bigger and more thrilling than myself. For example, I’m a Rockies fan, but I’ve never been to a game at Coors Field. When, on the rare occasion, I have the opportunity to see them play, I’m inevitably surrounded by a crowd of people cheering for another team. It’s disappointing to be there, especially when the other team scores, the stadium erupts and the guy in front of you turns around to high-five you before looking at your shirt and turning away to share his joy with someone else. (And don’t even get me started on how awful it is when I cheer for my team and the rest of the stadium is completely silent. It’s like yelling into a really ominous vacuum.) It’s not so much about the winning and losing though, because I have no control over that – it’s about getting to share the experience with other people who are excited about the same thing. It’s why we line up to see midnight releases of our favorite movies, spend a chunk of money to go to cons, or have online social networks dedicated to just about every conceivable interest. 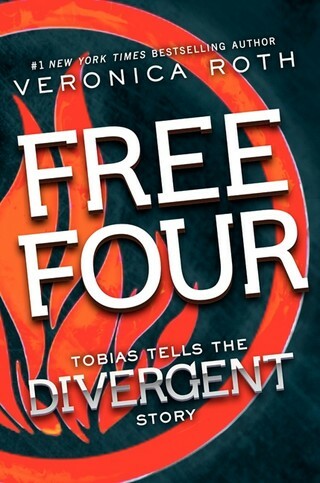 As people and consumers, we like to share, and when authors give back with something like Free Four, it’s special. It gives us a little insight into who he or she is as a person, but much more importantly, it reminds us that the creator is excited about where the story’s headed too. … I’m thinking Harper Audio. I don’t think I’ve read The Beekeeper’s Apprentice. Do you have it for me to borrow?